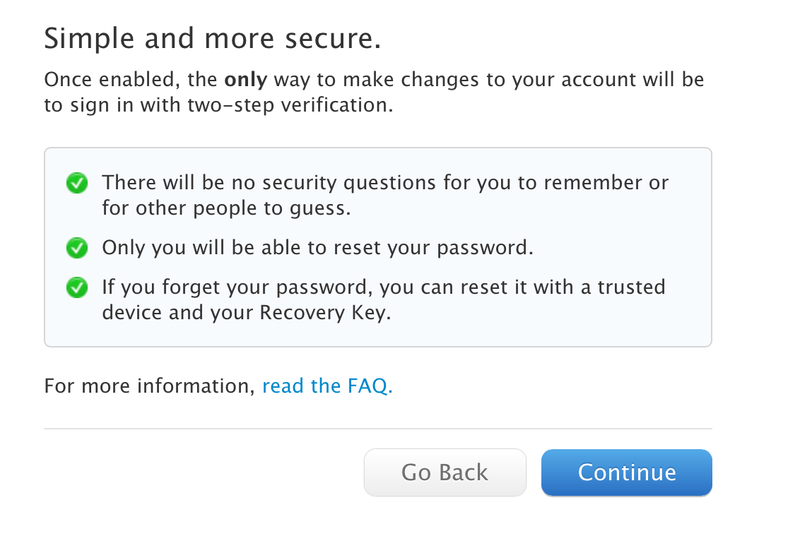 Today, Apple has rolled out a new two-step verification service for iCloud and Apple ID users. 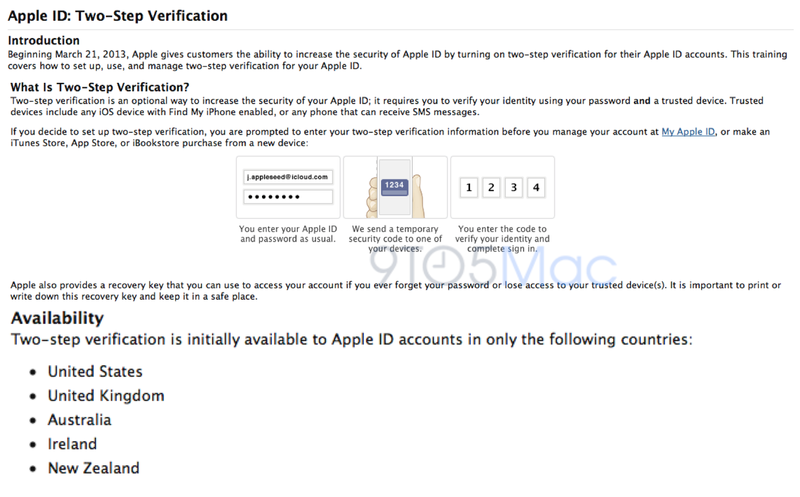 This functionality greatly enhances the security of Apple accounts because it requires users to use a trusted device and an extra security code. Last year, the security of Apple’s online services came into question when technology writer Mat Honan’s digital life was hacked via social engineering. His iCloud account was hacked and accessed. His computer ended up being completely erased via Apple’s Find my Mac restore feature. Apple requires users to print out a recovery key. This key is the only way to access your iCloud or Apple ID account if you cannot access your iOS device. Apple’s phone support will no longer be able to reset your Apple account password. Notably, Google’s online services have offered two-step verification for years. Earlier today, Apple begun training its AppleCare phone support employees on the new system. Details of Apple’s training materials are directly below. Additionally, several more details are below.